Winter and cold pose several risks to roofing systems across Bedford. Heavy rains, snow, and hail appear in winter months. All these harmful elements scratch and puncture your roof. Ice dams form and these clog your gutters and downspouts. They create a pool of water that leaks into your home and damages your walls and structures. Not only that, ice puts stress on your roof and weakens it the longer you let it stay. To tackle these inconveniences associated with winter months, you can follow simple ways that keep your roofing safe and damage-free. For sure, no one wants to face unnecessary roof repairs Bedford and spend thousands of dollars. Without further ado, here’s how you can prepare your roof for the cold and avoid roofing problems. Your gutters play an important role in keeping your roof and entire home damage-free. They lead water away from your roof during rainy days and winter as snow and ice melt. It’s very important to regularly clean your gutters. Make sure that they are free from twigs, leaves, and other debris that prevent water from draining properly. If you weren’t able to contact your Bedford roofing company to scoop out all debris before the first snowfall, make sure you do. Also, your Bedford roofing contractor should be able to inspect your gutters for leaks, dents, sagging parts, and rust. 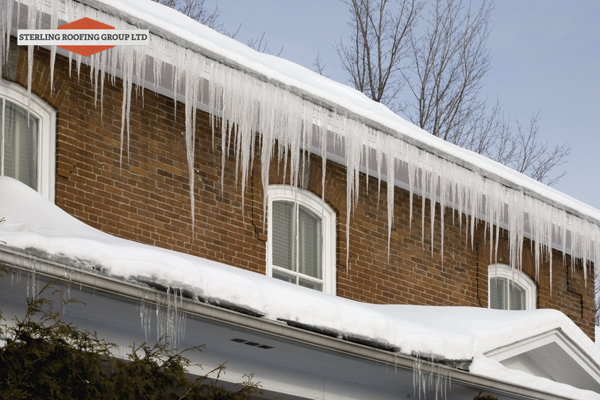 You might want to consider installing gutter cover systems to reduce ice dams and prevent clogs. 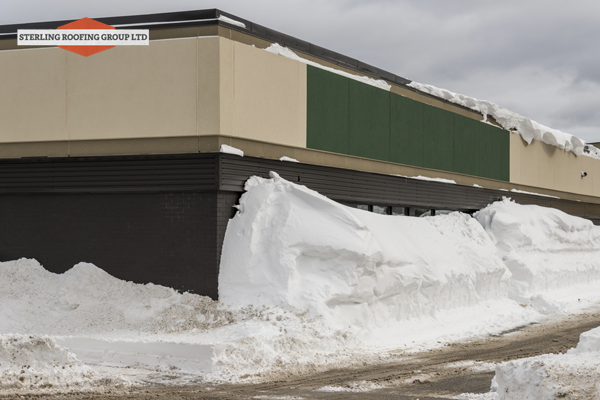 Commercial building owners should ideally plan for a snow removal before winter. Snow buries HVAC equipment, plumbing vents, and doors on rooftops. In order for you to properly plan for a snow removal, you must know how much snow your commercial building can handle. Make sure that the snow on your commercial roofing does not get so high that Bedford roofers will find it hard to remove. Also, the more ice your roof has, the higher the risk this presents for Bedford roofers. Travelers.com mentions that it would be good for your structural engineer and Bedford roofer to check your snow removal plan together to ensure that the process is done as safely as possible. Make any necessary changes if needed. Homeowners must also be proactive when it comes to snow and ice removal. Look for a Bedford roofing contractor that provides snow and ice removal services. Before the temperature drops, you need to deal with roofing problems that you have been neglecting or haven’t been paying attention to lately. Remember that any existing roofing problem gets bigger when it snows. Fixing a leak can be as simple as replacing a shingle or two. Never put this off before winter unless you’re willing to deal with the worst case scenario: A total roof repair. 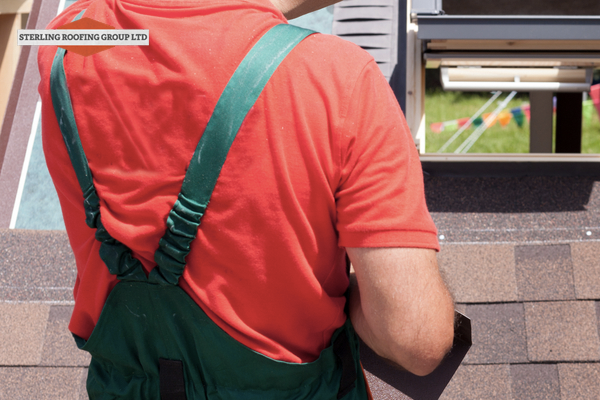 Hire a Bedford roofer to thoroughly assess your roof and look for other signs of damage. 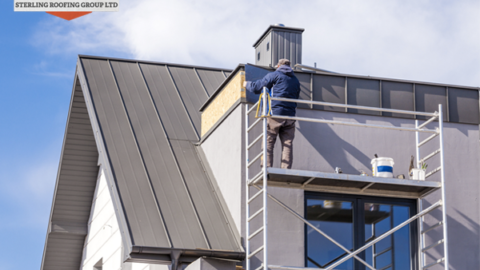 Other possible problems that a Bedford roofing contractor should fix include a bad chimney flashing, sagging roof lines, and damaged gutters. Regular days and high winds from winter storm cause overhanging tree branches to fall off and hit the surface of your roof. 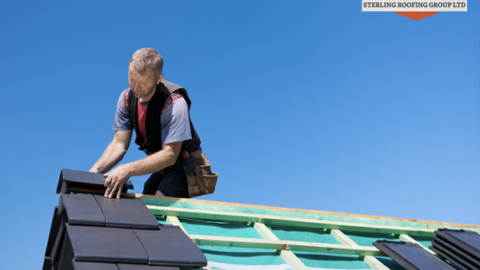 These materials damage the protective outer layer of roofing shingles, stripping off layers of asphalt. Also, debris gets into your gutter system and prevent melted snow from draining off. Trim away tree limbs yourself (if you have the skill and experience) or hire a professional arborist to do it. No matter how tempting it is to go up your roof and fix issues on your own, never do it. Climbing on a roof, with or without snow, is a dangerous thing to do. What you can do as a homeowner or commercial building owner is to inspect your area for signs of roofing damage. Look out for water stains, sagging roof lines, blisters or bubbling, and ponding water. As soon as you discover these signs of damage, report them immediately to a trusted Bedford company. This will allow for timely roof repairs Bedford. A. Ask for multiple written estimates. Request a comparable estimate from each Bedford roofing contractor you meet. Get all the details in writing. Make sure that you evaluate a roofer not only by price, but also by the quality of materials to be used on your roof and warranties. B. Research and ask for recommendations. We know that there are unscrupulous contractors that are only out there for your money, and that is why you need to research very well. Start by asking for personal recommendations from your friends, family, and neighbors. Search on the internet for reviews. You can find them on sites like the Better Business Bureau and Angie’s List. C. Make sure that your Bedford roofer is licensed and insured. Trusted Bedford roofing companies are able to provide evidence of their insurance and licensure. You will have a greater peace of mind knowing that the people maintaining your roof are properly trained to do the job well. Never put your roof in the hands of companies that do not have your best interests in mind. Before you go, we would like to offer you our reputable roofing services. No matter the time of the year, you can count on us to help maintain your residential or commercial roof. Contact us today.